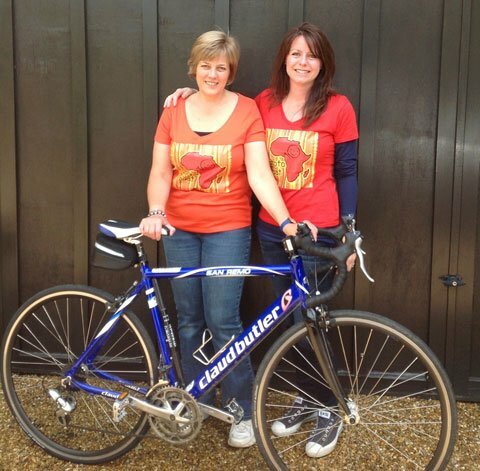 We are extremely grateful to Anne who has done two bike rides to Holland to raise money for Watoto Trust. As a result we have been able to support Lucy’s orphan children for the past two years. Mirriam senior is the girls granny, and she is their sole carer. Mirriam’s only source of income is a small market garden. Miriam junior is 16 with a beautiful singing voice. She would like to go to Harvard and become a judge. Grace is 15 and would like to study at Oxford and then do charity work. Joyce is a wonderful artist and would like to go and study in America. They are three delightful girls and without our help would not have enough to eat and would certainly not be able to afford to go to school.